Nestle will acquire Atrium a vitamin maker based in Canada at the cost of $2.3 billion, expanding its consumer healthcare presence as it attempts to offset continued weakness in the packaged foods’ industry. The largest package foods business in the world announced Tuesday that it would acquire the vitamins, meal replacements and probiotics maker from investors that are led by Permira Funds. Nearly 80% of sales by Atrium are in the U.S., which means there is room left to acquire businesses in other places, such as Merck’s vitamin unit that, although based in Germany has a big presence in different emerging markets and is being looked at by the Swiss company. Greg Behar the Nestle Health Science head said the company continues to search for opportunities in those things that are a good fit. The division led by Behar will house its new acquisition Atrium Innovations. Nestle Health Science sells different nutritional products already for people with a specific medical condition and has led the ambitions of Nestle to become a health and wellness and nutrition company as sales of packaged foods slow, amidst the changing tastes of consumers. Nestle, which makes Purina pet food, Nescafe coffee as well as Gerber baby food, has come under pressure in 2017 to improve its returns from Third Point an activist shareholder. 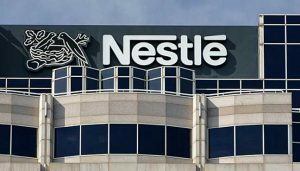 Nestle since then has announced a new share buyback, a new margin target and has made three small acquisitions besides this one. The acquisition of Atrium, which this year is expected to reach $700 million in sales, will add to Nestle’s earnings immediately, said Behar. This deal is a reflection of the comments made earlier in 2017 by CEO at Nestle Mark Schneider, who called consumer health the company’s strategic priority. An industry analyst said the deal for Atrium makes sense when it comes to nutrition for Nestle. Atrium has seven plants in Canada, Europe, Argentina and the United States. Its largest brand is the supplement line Garden of Life. This is the fourth acquisition by Nestle in the past few months. It announced the acquisitions of Blue Bottle coffee and Sweet Earth vegetarian foods in September and in November the acquisition of Chameleon Cold-Brew coffee. The Atrium purchases should close during the first three months of 2018.